The further postponement of the BBC1 Panorama documentary leaves us waiting for new light to be cast on the activities of News of the World‘s most famous reporter, Mazher Mahmood, the Fake Sheikh. In the meantime, it is worth going back over his evidence to the Leveson Inquiry. Though Mahmood’s identity was concealed, his witness statements make for some eye opening reading. Daniel Morgan, the founder of the company, was murdered in a South London car park after he threatened to expose police corruption in March 1987.One of the first investigating officers, Sergeant Sid Fillery, left the Met to take over Daniel’s job. Southern Investigations became one of the most prolific private detective agencies in Fleet Street, described by Vikram Dodd and Nick Davies as the centre of “an Empire of Corruption”. Mahmood opens his autobiography, Confessions of a Fake Sheikh, with an exciting account of his involvement in that famous press sleaze scoop against Mellor. To Lord Justice Brian Leveson, Mahmood said he worked on “20 or so stories” with Southern Investigations, and that he “stopped working with them at the end of 1992 or early 1993″. According to the Untouchables Mahmood was working on the same stories as Southern Investigations at News of the World well into the nineties. Southern Investigations was also being paid by the NOTW to protect Mr Mahmood. Known as the “king of the sting”, his lucrative contract with the paper entitled him to a support crew which included the services of two bodyguards. One of his undercover operations ended with the former London’s Burning star, John Alford, being sentenced to nine months in jail for supplying cocaine and cannabis. The trial at Snaresbrook Crown Court heard that the actor had been taken in by “an elaborate, well-planned subterfuge”. He was filmed in London’s Savoy hotel, handing over drugs to Mr Mahmood, who was posing as an Arabian prince. As part of Mr Mahmood’s deal with the NOTW, he was allowed personal protection in public places. He hired Southern Investigations to be his “bodyguards” during the Alford trial, and on other occasions. The defence QC in another trial from a Maz drugs sting, Lord Hardwicke, pointed out the “couple of heavies” in the public gallery the same year. Alun Jones QC. Do you want to tell us what bonuses you get at the News of the World? Mazher Mahmood. Sadly I get no bonuses. I get paid exactly the same amount whether I sit in the office, write soft stories, or expose criminals and get death threats. AJ. You get death threats? MM. That’s right. My parents get their homes macheted. AJ. Yes. Are you being a bit theatrical, Mr Mahmood? MM. No, I’m not, I’m telling you the truth. AJ. Can I ask about one or two people in the gallery. You have had a couple of heavies at court this week with you, have you not? MM. Is that what you call them? AJ. What do you call them? MM. I’ve had a driver and I’ve had one minder. AJ. And they have been sitting in court every day right at the back of the public gallery, have they not? MM. For my protection, so I don’t get intimidated as I have been in previous court cases. AJ. Those two men; is their only function in fact to prevent you from being seen or photographed by the press when you go outside court? AJ. That is their function? AJ. That is their only function? MM. Well because I work undercover and I don’t want my photograph appearing in newspapers. AJ. Have you taken any legal advice about the question of whether it is lawful for you and others in the News of the World to agree to be concerned in the supply to yourselves of cocaine, a class A drug? MM. I’ve spoken to our legal manager at the News of the World. AJ. Did that man say to you: “Yes, it’s perfectly all right for private citizens to be engaged in the supply to themselves of cocaine, provided they have a good motive”? MM. Well I won’t go into that conversation because I don’t remember it to be honest, but I don’t think there’s anything wrong with journalists exposing drug dealers, and as I said my work’s been praised by two different home secretaries. AJ. Which home secretary has ever said either to you in private or in public that a private citizen representing an organisation of the size of News International, the Murdoch press, is entitled to buy cocaine and to be concerned in the supply of cocaine? Which home secretary or policeman has ever said that to you? MM. Well your clients are pleading not guilty to having supplied me any cocaine at all, so I don’t know where you’re coming from quite frankly. But no, I’ve not had a discussion with the home secretary about supply of cocaine, no, I haven’t. AJ. Which home secretaries have suggested to you that the subject matter of my questions to you is all right? Or are you just trying to divert the question? MM. I’m not trying to divert the question, I’m saying that they’re fully aware of the work we do and have endorsed it. So I’ve not had a chat with the home secretaries about the supply of cocaine and how they think we should operate, but no action’s ever been taken against us and in fact we’ve been praised. I’ve got 98 criminal convictions as a result of my work, so I must be doing something right. AJ. How do we test that boast please, Mr Mahmood, 98 convictions? How do we test it? MM. We’ve published it on numerous occasions. There are various suggestions as to the identity of these heavies: I will update as I can . Maz and the Cook-Hames Surveillance in 2002. Former senior Scotland Yard officer John Yates, who oversaw the fifth investigation from 2006-2011, and calls the Morgan murder“ one of the most, if not the most shameful episodes in Scotland Yard’s history”, provides another link back to Mazher who was working with Greg Miskiw as at the special investigations unit of the News of the World. The panel will also pay particular attention to the role played by Detective Chief Superintendent Dave Cook. He led the case from 2002 and did more than anyone to bring the right people to justice. A feisty and outspoken individual, he was also an extremely able and committed detective. Most importantly, he won the trust and respect of the family. Disturbingly, he provides an astonishing link between Southern Investigations, the News of the World and phone-hacking when, in July 2011, it was revealed that the paper had used the detective agency to tail Det Ch Supt Cook and his wife at the height of his involvement in leading the murder investigation. 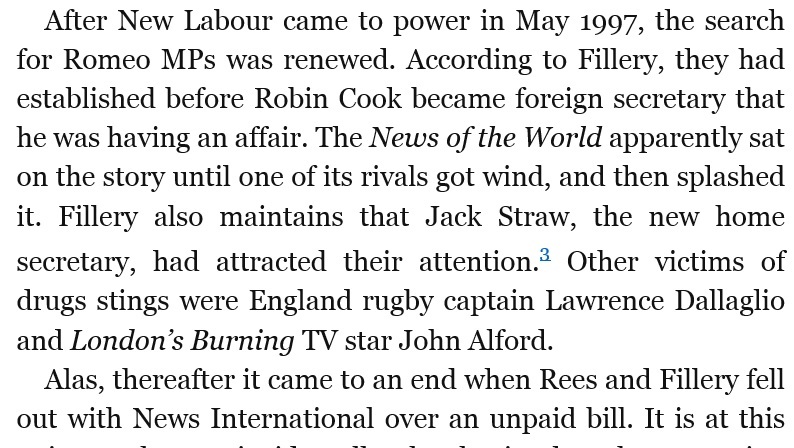 As Nick Davies revealed in the Guardian, the hacking and surveillance of Dave Cook and Jacqui Hames was commissioned by Sid Fillery, and organised by Greg Miskiw and others at the News of the World. One of the vehicles tailing Cook from his home in August 2002 was a blue Vauxhall Combo van driven by a News of the World freelance photographer called Bradley Page. 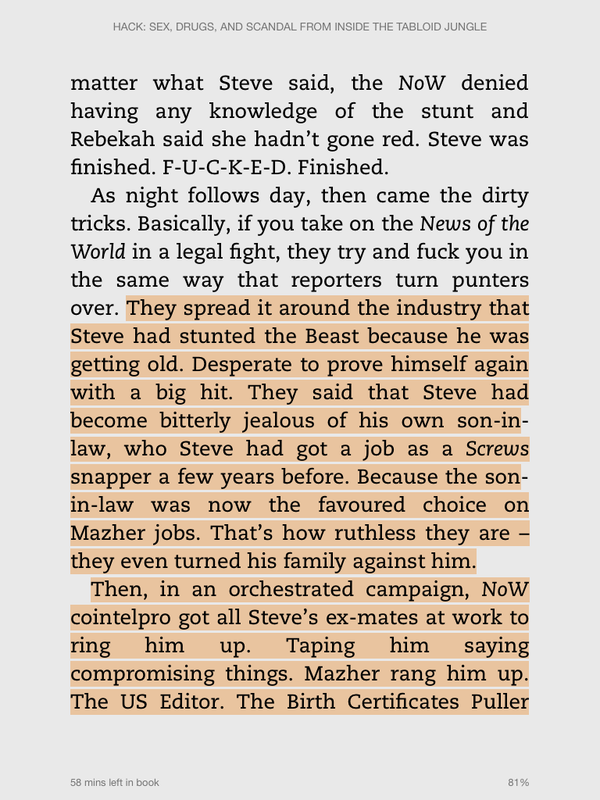 Page worked with the Fake Sheikh several times according to Mahmood’s autobiography, on a sting on the actors Michelle Collins and Sean Bean. 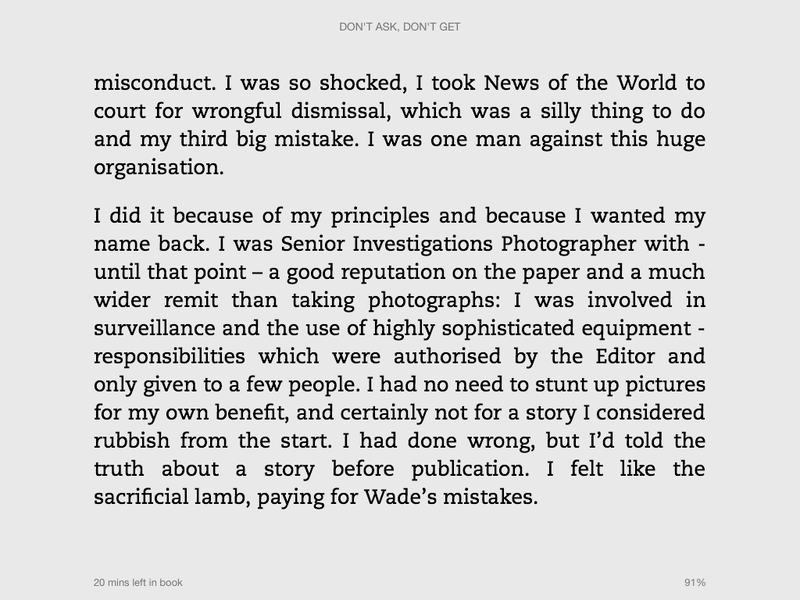 According to the book by photojournalist Steve Grayson (who was Page’s Father-in-Law), Mahmood ensured that Bradley took over his job as Senior Investigations Photographer at News of the World in 1999. Former journalist Graham Johnson (who pleaded guilty to phone hacking this week at Westminster magistrates court) confirms this account in his vivid account of News of the World, Hack.